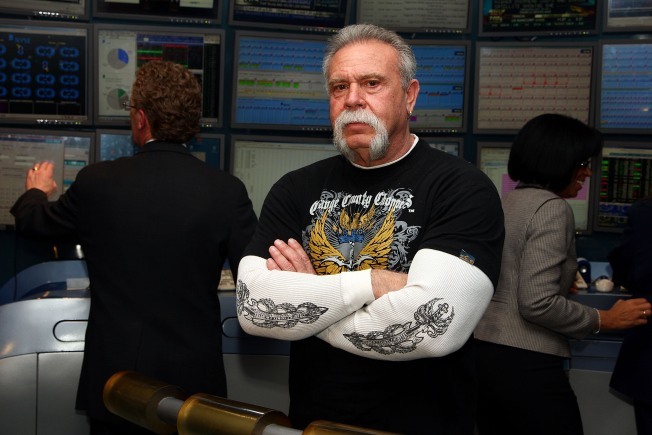 Paul Teutul Sr.at the New York Stock Exchange. It's the end of the road for "American Chopper." The TLC series based on the Teutul family's custom motorcycle building business is going off the air after six seasons. Paul Teutul, the python-bicepped patriarch of the show, frequently fought with his namesake son, who left the family business and is now suing his Dad. The show was based in the family's garage in Newburgh, N.Y.